If you have any questions not covered in this sticky, but you feel are related, feel free to post and I'll get back to you as soon as possible. Many of the titles, mounts and achievements have tooltips enabled in this FAQ. How many seasons remain in Mists of Pandaria? (How do I earn a title from rated PvP? Is my team eligible for a title? What will happen to my Arena and Rated Battleground ratings? How long is there between PvP seasons? What will I be able to do in the down week between seasons? What is going to happen to the conquest points I have saved? How much honor can I save for next season? 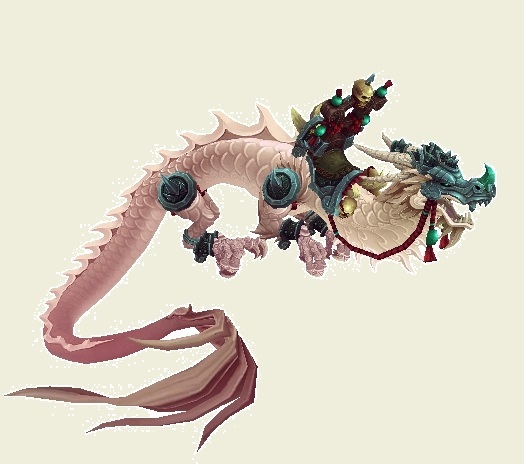 What mounts can I get from Arena? 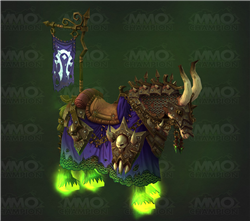 What mounts can I get from Rated BGs? Tuesday, August 27, the 13th Arena and Rated Battleground Season is scheduled to end. On that day we'll begin an approximately one week process to determine end-of-season reward eligibilitys. As soon as Tuesday, September 10, the 13th Arena and Rated Battleground Season is scheduled to end. On that day we'll begin an approximately one week process to determine end-of-season reward eligibilitys. There is estimated to be two more seasons in Mists of Pandaria, the Grievous season (S14) and the Prideful season (S15), both of these seasons have been datamined. This would be 4 seasons in total for Mists of Pandaria, including the Malevolent (S12) and Tyrannical (S13) seasons. However, a recent twitter post from Ghostcrawler said that they might only use 3 of the seasons. Depends on how the Grievous season goes. How do I earn a title from rated PvP? There are three major sources of PvP titles; Battlegrounds, rated battlegrounds and ranked arena. As most of them can be found in your achievement log I will only go into detail with those that aren't clear where they come from. A list of all PvP achievements can be found here, just type in 'pvp' to the search window to filter out non-pvp related titles. Aside from the Horde and Alliance variants of rating-titles, one more title is available from RBGs: Hero of the Alliance / Hero of the Horde. This is awarded to anyone in the top 0.5% of their RBG ladder. In previous seasons this has been around the 2.3-2.4k mark. Currently, titles are awarded based on your teams current rating and ranking in your overall battlegroup. Arena titles are awarded in 3s and 5s Arena, but not 2s. Your team must be eligible and 'active' to be awarded a title, this will be touched on slightly later. All Arena titles except the rank one only last for 1 season. For instance, if you are in the top 10% you when the season ends, when the new season begins you will be awarded your rival title. You will be able to use that title for the entire season until that season finishes, and the next titles are calculated. Vanquisher is a permanent title which is awarded at the end of every Arena Pass season to teams in the top 1000 places in the ladder. To be eligible, you must have played 100 games in the same team (excluding the practice period). Note: The accuracy of title calculators depends on whether someone has submitted a 0-20 team to get a rank at 0 rating and see how many teams have been created. If there is no 0-20 teams, the accuracy will be slightly off but not awful. You can create your own 0-20 team by joining arena queues and then pressing "Leave Queue" when the queue pops, 20 queues in a row. Wait until armory updates and your team has a ranking (#4124 for example) and then submit that team to a title calculator. When a new season begins, all previous ratings will be completely reset. Your MMR, however, will stay - so climbing up to those original ratings shouldn't be too difficult. Note: Sometimes MMR does get reset due to wintrading, exploiting or rating inflation. The last time MMR was reset, personal MMR above 2200 was lowered back down to 2200 again - so it isn't the be all and end all. The time between a season finishing and the next starting is 1 week. This gives Blizzard time to decide who is eligible for titles and rewards, and to prepare for the next season. During the season transition you cant queue Arenas or Rated Battlegrounds, however, you can still queue normal battlegrounds and wargames if you're getting PvP withdrawals! When a season ends all conquest points will be converted into honor points, even if this puts you above the 4,000 honor point cap. During the transition week between seasons you can spend the excess honor, however you may not earn honor while you are above 4,000. If you do not spend your excess honor by the end of the transition week it will be converted into gold when the next season starts (Usually at 35 silver per honor). If you are already fully Conquest geared and don't want/need the gold, a good alternative to store excess honor is to convert them into justice points. It's important to note though that this conversion has a cost to it on both ends, 375 honor gives you 250 justice points and 375 justice points gives you 250 honor. Meaning converting 3750 honor into justice and back to honor would leave you with ~1700 honor. You can only directly carry over 4,000 honor points into the new season with the normal 4k honor cap, however, by using justice points as an additional means of honor storage as mentioned earlier, you can effectively store an additional 2,500 honor in the form of 4000 justice points, for an effective total of 6,500 honor when the next season starts. There is only 1 available mount from arena per season. It is awarded by finishing in the top 0.5% and achieving Gladiator. The mount reward itself depends on which season you achieved gladiator in and, unlike the title, the mounts stick around forever. Gladiator mounts are flying and can only be used on the character that earned the achievement. A list of all previous gladiator mounts can be found here: http://www.warcraftmounts.com/pvp.php (Scroll to the Arena awarded mounts at the bottom). 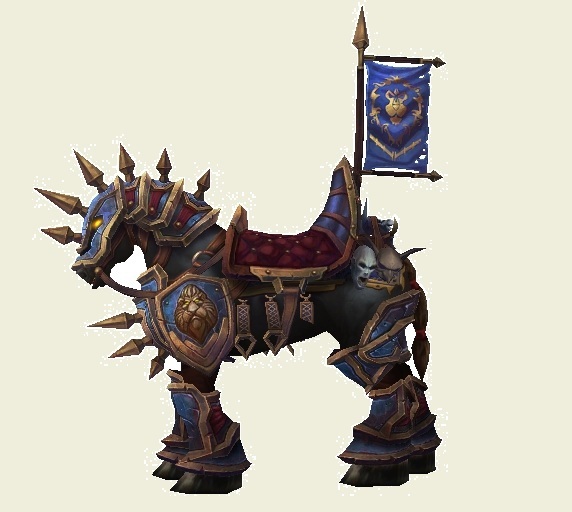 The Alliance version of this mount, the Vicious War Steed, is an armored horse with an Alliance battle flag on its back. 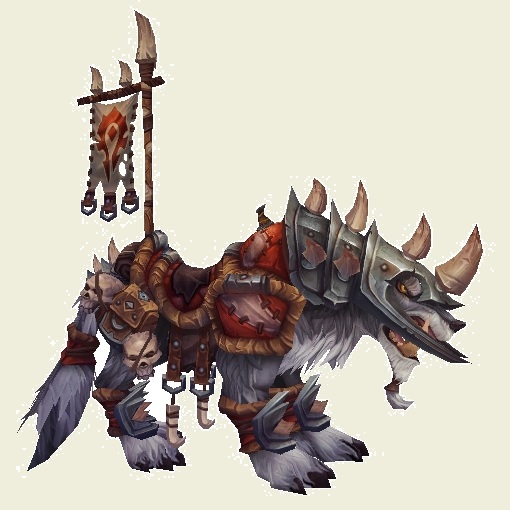 The Horde version, Vicious War Wolf, is an armored wolf mount with a Horde flag. In 5.4 a new achievement called Grievous Combatant is being implemented. This is awarded for winning 40 Rated BGs or 100 Arena games in 1 season, and rewards you with a new ground mount. The Horde version, Reins of the Vicious Skeletal Warhorse, is a armored skeletal warhorse with a Horde flag attached to the back of it. 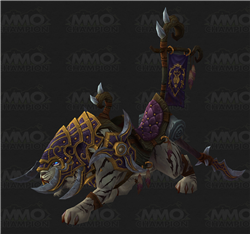 The Alliance version, Reins of the Vicious Warsaber, is an armored night elf saber mount with an Alliance flag attached to the back. A large portion of the formatting and titles were taken from this thread by Eldacar, so a huge shout out to him. 25/11/14 (Snuggli) -- Included anchors. Need to update for WoD. Last edited by Snuggli; 2014-11-25 at 08:52 AM. Awesome job with this Snuggli! It looks great and saves me from updating the old one! I like the little mount pictures in particular. Nice that the Mount achievement got changed to win 100 arena games OR 40 RBG games. u can get the warhorse from the 75 acheiv aswell. It's top 0,1% of players, not just rank 1. Remove this thread or update it plz. Pandaria is ancient history meanwhile.